We’d love your help. 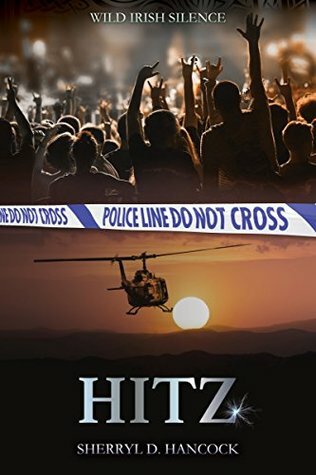 Let us know what’s wrong with this preview of Hitz by Sherryl D. Hancock. Billy and the Kid’s Billy Montague is going off the deep end, and it’s not long before it puts her band’s career in jeopardy. Whilst bailing out his bandmate once again, Jerith ‘Kid’ Michaels meets cop Nicolette, and there is an instant connection. But Nicolette is dedicated to her job and raising her son, wary of a relationship with a rock star like Jerith. After ten year Billy and the Kid’s Billy Montague is going off the deep end, and it’s not long before it puts her band’s career in jeopardy. Whilst bailing out his bandmate once again, Jerith ‘Kid’ Michaels meets cop Nicolette, and there is an instant connection. But Nicolette is dedicated to her job and raising her son, wary of a relationship with a rock star like Jerith. After ten years apart Billy bumps into an old flame, Skyler, and the two reconnect, but Billy continues to spiral out of control and an ultimatum threatens to push her over the edge. To ask other readers questions about Hitz, please sign up. It's dealing with some trigger serious stuff in this one...So far not really believing the reason behind Billy's drug use. And really feeling sorry for Jerith . Needs to unravel more for myself. I honestly think Billy is a selfish person and at thirty she needs to grow up some in my opinion. Not sure what I think about Skylar at all its kind of confusing. Loved the first two books of this series but this honestly not so much. Now to see if the conclusion had redemption. Sherryl grew up in San Diego, California the youngest of three. She began making up stories as a teenager. Working for the State of California at the Department of Justice taught her the inner workings of law enforcement. Her first stories centered around law enforcement situations. She married her husband and had two children. She continued writing and attempted to be published. When an agent retu Sherryl grew up in San Diego, California the youngest of three. She began making up stories as a teenager. Working for the State of California at the Department of Justice taught her the inner workings of law enforcement. Her first stories centered around law enforcement situations. She married her husband and had two children. She continued writing and attempted to be published. When an agent returned her submission for the third time she gave up.